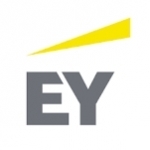 The Industry Market Operations Manager (Operations Manager) will be aligned to one of EY Global Industry's eight Industry Market Groups and will act as the overall Operations Manager for that group. Day to day the Operations Manager will be accountable for ensuring the delivery of proactive, high quality, strategic operations management aligned to the execution of their Industry Market Group's priorities. This will be achieved through both the Operations Manager's personal delivery of complex and strategic operational tasks, as well as overseeing the service delivery of tactical day to day operations activities executed by existing GDS Sector Operations team members (Sector Enablement Managers and Sector Enablement Coordinators). The Operations Manager will report to the Global Industry Operations Leader, while working day to day with their Industry Market Group's Strategy & Operations Leaders. They will also be the first point of operations contact for other Industry Market Group stakeholders (such as Sector leaders, BMC, Knowledge, Sector Residents and Sector Enablement Team). The person needs to be a self-starter and very comfortable working relatively autonomously. They will require strong business and operational acumen, and a strategic, global and agile mindset is vital. The role also requires the person to be able to work through business problems from start to finish with minimal guidance, including the ability to convert abstract concepts into compelling deliverables. Expertise in project and budget management, business operations and team leadership is critical. - Responsible for deploying strategic and tactical operational activities required to enable the Industry Market Group's priorities. This includes personal delivery of complex and strategic operational activities, as well as overseeing the service delivery of more tactical day to day operations activities delivered by the Industry Market Group's GDS Sector Operations team. - Develop a clear understanding and definition of the Industry Market Group's strategic and operational requirements, enabling easy liaison with senior stakeholders in terms of projects and related activities. - Work closely with the Global Industry Operations Leader to proactively identify operational business needs, co-develop actions and timelines, align resources, scope new support requirements, build streamlined processes across all Industry Markets Groups, and oversee effective transition of work to the GDS Sector Operations team. - Support the GDS Sector Enablement Team Leader in facilitating effective management of GDS Sector Operations resources with the aim of continuously improving service performance through robust quality assurance and streamlining of operations processes. - Be the first point of contact and responder for requests for Sector content, through the coordination and creation of draft responses (with input as necessary from Sector SMEs such as Strategy & Operations Leaders, BMC, Knowledge, Residents etc). Examples of requests (but not limited to): New Manager and New Senior Manager Milestone learning decks, Event approvals, Account Record maintenance, Discover maintenance, partner meeting decks, Sector trends, annual strategy planning templates, sector solutions templates etc. - Project manage and participate in key Sector meetings and events. For example, Sector leadership meetings, solution workshops, client roundtables etc. Activities include (but are not limited to) drafting agenda and content, managing event budgets, coordinating logistics, securing speakers and content, capturing meeting notes and following up on actions. - Motivate and inspire others to achieve individual and organizational objectives through highly visible and effective personal interventions. - Assign appropriate development opportunity projects to GDS Sector Operations team members in addition to their usual activities. - Develop, maintain and promote effective relationships and engagement with key stakeholders across Firm-wide functions and business units, with a view to increasing the effectiveness and efficiency of Sector operational processes and activities. - Motivates and inspires others to achieve individual and organizational objectives through highly visible and effective personal interventions. The role is not restricted to the responsibilities listed above and the candidate needs to be flexible and adapt to the business requirements. In addition, the role may require being present at some Sector meetings and events, so the candidate should be prepared to travel internationally several times a year. - Post Graduates with 10+ years relevant work experience in delivering autonomous operations management in large complex organizations, budget management, project management, executive reporting, analysis, industry knowledge, business planning, stakeholder management and people development.